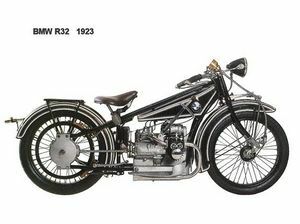 The R32 was the first BMW motorcycle ever manufactured. It was powered by a boxer engine that produced 8bhp at 3300 RPM. 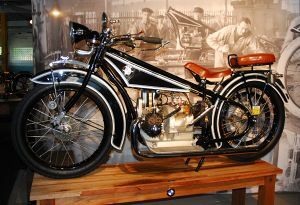 It was a rather expensive motorcycle but sold well due to it's clever design and nice fit and finish. This page was last edited on 20 August 2010, at 18:04.